I guess it's hightime that I share some photos from the press conference. Yeap it was indeed an honor to see them in the flesh! 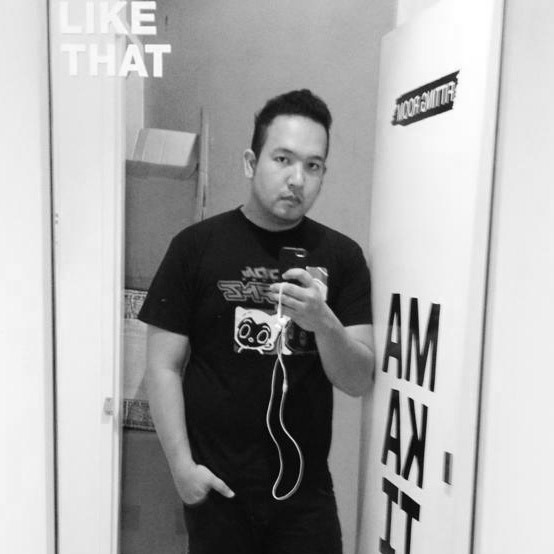 I've been a Hanson fan since time in memorial (Circa 1997) but really it doesn't show in my age. It's been ages and they've all grown up, they even got their own families and kids now. Imagine how much I stuttered whilst asking them questions.. geeze! Now if that doesn't convince you that it's fun to actually be in their concert this weekend at the Araneta Coliseum and in Waterfront Hotel in Cebu, I don't even know what will! Thanks to the Hansons for being so kind and entertaining a while ago. I'll post the HD video when I have the time. Make sure to stay tuned here for more updates on their Manila tour! An Easy, Fun Filled Galactic Easter at Marriott Hotel Manila! There are several things that I need to do in order to celebrate Easter with kids this season. Wake up, wash my face, take tons of time in the market, prepare everything first, then cook. After that you need to also take time and paint all the eggs you need to hide from these smart ones then let them feast and celebrate the coming of Christ into this world. That entails thousands of pesos, plus labor and time that I don't really have. It's a good thing there are several establishments who are already aware of this problem and make necessary arrangements to make that one day for the kids very special. At Marriott Hotel Manila there is a Big Bang Stay package for only P10, 980 net and this includes two tickets to the Lost in Space Easter Party and Game Zoo credits at the Newport Mall. This promo runs from April 1 to 10 with minimum two nights stay. Or you can opt for the great Easter Party for only P500 (kid) and P1, 000 (adult) entrance fees. This event has been packed since 2010 and it'll be even bigger this year! There will be games, prizes and surprises awaiting those who want to avail of these promos. World class Executive Chef Meik Brammer has prepared a spectacular menu to the delight of kids and their families. They will also take home lots of goodies from Marriott and different vendors so you're surely get your money's worth and MORE! Or if you prefer a more intimate setting, you can avail of the Marriott Cafe experience for only 2,500 pesos inclusive of one Lost in Space Easter party ticket. Their brunch buffet is quite a grand spread and you'll choose between fourteen different food stations so you know your degustation is just starting! Need I say more? Make sure you call Marriott Hotels Manila and reserve a spot on their highly awaited Easter Party, it's the best advice I could give you this lent. Who in the right mind would forget Hanson? We literally grew up listening to their songs and dance quite profusely at that time. It spawned a new generation of music that even the young ones connected with. 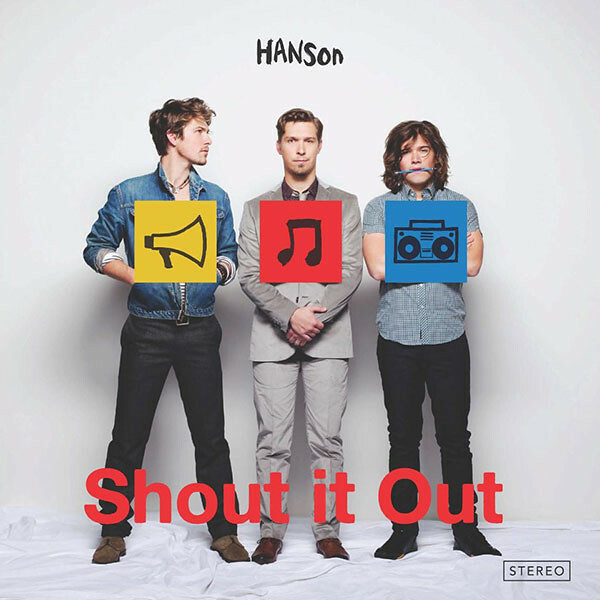 I know they visited the country a couple of times already but this one is special, it looks like they have come out with a new CD called SHOUT IT OUT and why not its about time that they do a comeback after a long hiatus! 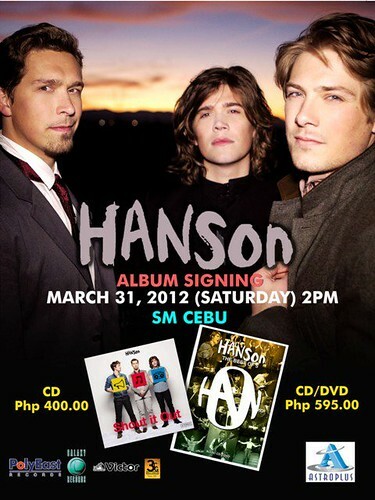 The great recording company PolyEast, record mogul Astrovision/Astroplus will have an Autograph Signing Event for all Hanson fans who bought their latest CD! This will be in two locations on Thursday, March 29 6:00 p.m. at The Block - SM North EDSA and on Saturday, March 31 2:00 p.m. at SM Cebu. Fans from Manila and Cebu will definitely be part of this as the Hanson “Shout It Out” Tour will commence on March 30 at the Smart Araneta Coliseum and March 31 at Waterfront Hotel Cebu courtesy of Production outfit Dayly Entertainment! Robin Nievera who just released his first album called "Overwait" released by Polyeast Record will also be doing the front act. Isaac, Taylor, and Zac can't wait to see Filipinos rock to their songs once again now that they're back in Manila, then Cebu! Will they see you there? I hope! That's Fierce. Whenever you see or hear these words only one thing comes to mind and that's ANTM. ETC has been bringing you world class shows in cable television and even through Channel 9 these past few years and its high time that they add a notch to what they have been achieving through America's Next Top Model. It's the show that started everything for most men and women in Fashion, it glamorizes the industry further and inspires millions of people around the world. Tyra Banks must be crazy not to know how precious her pet project is but I know for a fact that she does. I love the show's judges/hosts too like Jay Alexander, Jay Manuel, Nigel Barker, Andre Leon Talley, Twiggy, Janice Dickenson among others. They are their own characters. In fact I learned to SMIZE too! LOL! The throng of models who have passed the corridors of this show proves how they are significant in creating the true top model they look for. I love the last season before the ANTM All Stars because I related to Ann the most. She was always the tall one and always got the weirdo statements and look from other people but when she gets captured on film or digital media, she's just amazing! Her story just like the other models are so inspiring. I love how it touches real life just like anyone of us. This season though it's war between the US and UK, imagine models sticking out their nails just to get to the top made extra challenging because you have your country to represent! You guys should definitely watch Cycle 18 as stars like Kelly Osbourne, Kris Jenner, Estelle and Georgina Chapman of Marchesa drops by to check on the models. ANTM airs every Monday at 8PM on ETC, make sure you watch it or else catch it on free tv via Channel 9. Fans of the show were treated last Monday via ANTM Quiz Show at posh Vogue in Makati, I'll post photos a little later on. Thank you ETC for the wonderful evening! Figaro just came out with some of the best things this Summer! I got first dibs on it too together with some of my peers, but in a nutshell everything was spectacular! I would probably end up having dinner in this establishment a LOT! Shall we begin? Chicken Barbecue! Yes you heard that right, it's that sweet roasted chicken plus a dollop of gravy and Java rice; plus, it doesn't cost that much at P150.00 and treats you with a free lemonade! It also has side servings of string beans. With or without the gravy it's one of the best things they have on the menu! I don't really know what struck them to make these gorgeous plates for dinner, but this gorgeous plate with Dory Fillet and Pesto Cream really was my favorite. I adore basil based sauces and this thick one was just homey even if it was amazingly made in Figaro. You win this for only 150.00 pesos also plus a free lemonade as well! This already went out a couple of weeks ago. Imagine molten fudge over a thick layer of mousse based chocolate icing and moist cake. It costs quite minimal, you should ask for this together with hot coffee which Figaro is known for! For fish lovers they have these items in Spicy Tuna while the other one is your favorite Asado. Things with Pan De Sal are obviously staple. One Pan de Sal comes with unlimited coffee refill at 99 pesos, whilst it turns so good after 11am because it'll only cost you 45 pesos for this yummy Pan de Sal; it's indeed a steal! Figaro's lemonade is quite nice. Tastes like the hand squeezed thing you love since you were a kid! This is perfect to cut anything sweet. Quite a tangy number! Affordable too if you get it with your dinner meals come April 11! They have these new frozen tea items on the menu and its got lots of treats inside of it. Check out the boba balls and small bits of jello! This isn't Pandan, one taste of it immediately takes you to summer time. This is wintermelon and it only costs 100 Pesos, both of them do. Isn't that just what you want when its hot and humid outside to quench your thirst? Add to that those little sweet BOBA Balls that bursts in your mouth after each bite! You should definitely watch out for it's launch come April 11, 2012! Life is so good at Figaro!